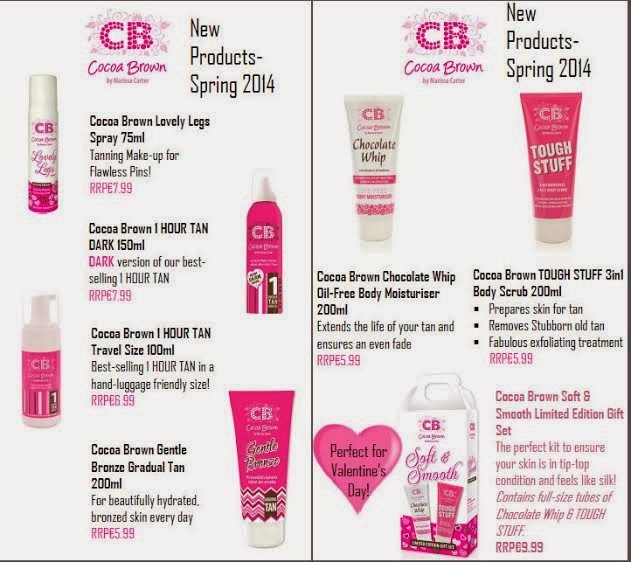 New Cocoa Brown Tan Products & a Giveaway! Along with the entire female population of Ireland (or so it seems! ), we're big fans of Cocoa Brown Tan. It's an Irish brand, with great, inexpensive products. What's not to like? The powerhouse that is Cocoa Brown's creator Marissa Carter and her team are adding to Cocoa Brown's product line this spring with a range of new stuff that we can't wait to try. Cocoa Brown Lovely Legs sounds like it could be a rival for Sally Hansen's brilliant Airbrush Legs, but at almost half the price. Cocoa Brown's original 1 Hour Tan is a light tan, which I think is great for most Irish skin tones but if you do prefer your tan to be darker, you'll soon be able to get your hands on Cocoa Brown 1 Hour Tan Dark. Perhaps the new product I'm most excited about is Gentle Bronze gradual tan. I much prefer to use gradual tanners during the summer and if this has the original Cocoa Brown scent, sign me up for a vat of the stuff! 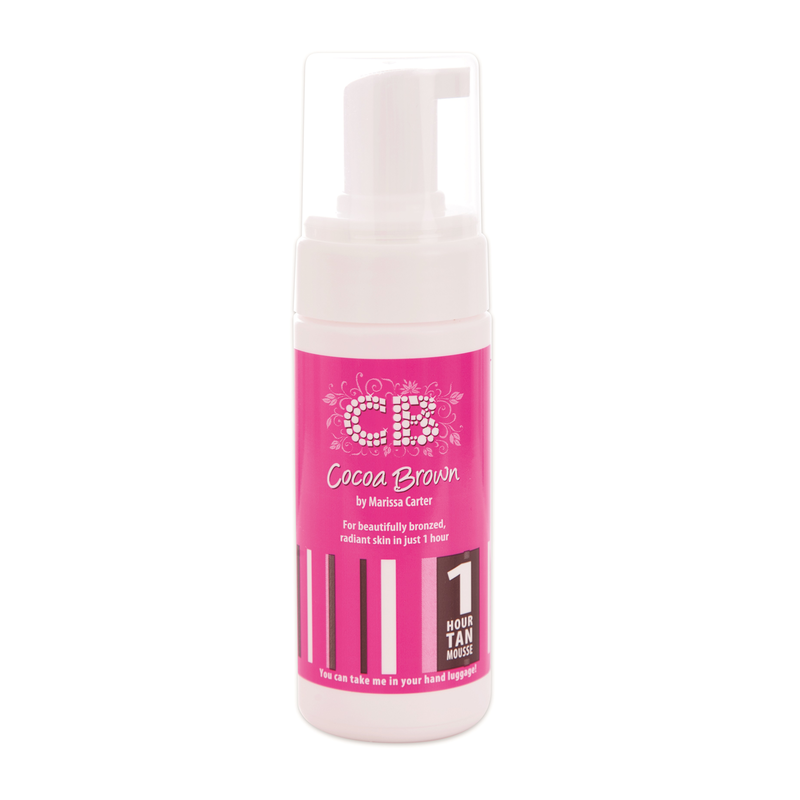 To celebrate Cocoa Brown's new launches, we have a little giveaway. To win a Cocoa Brown 1 Hour Tan Travel Size, simply follow the instructions below and we'll pick a winner at the end of the week. As far as I'm aware, the only place you can buy the travel size version at the moment is on board on Aer Lingus flights, so this is a good opportunity to get your hands on one! Good Luck!